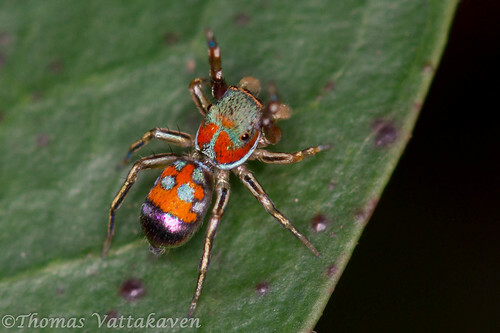 This colourful metallic spider was spotted by me on an Ixora plant while I was looking for something interesting to do while waiting for a pupa to hatch! 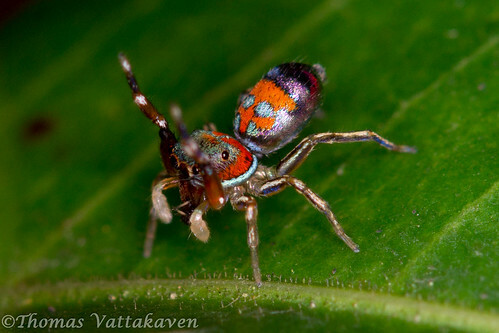 Of course I couldn't identify it so I shot it off to the experts at the Spiderindia group. 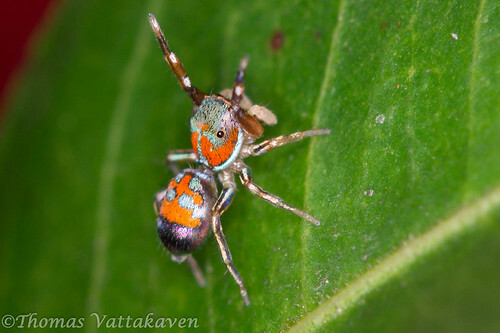 Although the spider was identified to Genus level as a Siler species, it is apparently undescribed from India so far! 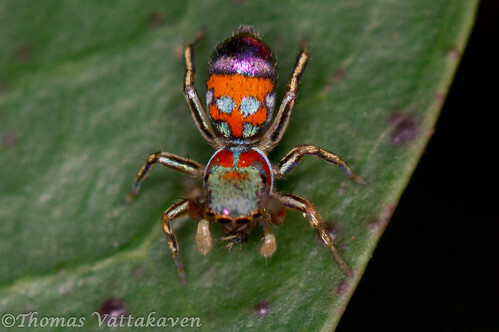 These spiders belong to the class of jumping spiders and are brightly coloured with red and green patches on a metallic purple body. 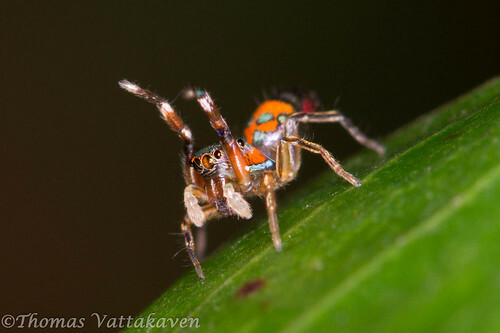 They have a curious habit of waving their forelegs in the air, perhaps as a sensory mechanism (?). 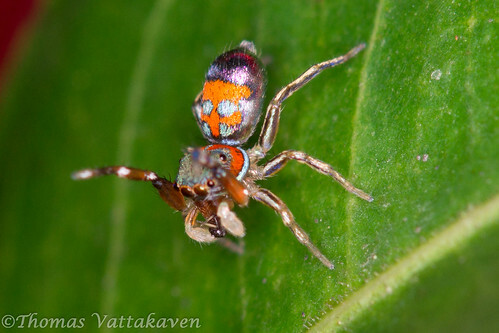 However, this one below appears to be the female. I was lucky to catch them both together during a courtship chase. I initially thought I was photographing the same individual until I saw them both together! The below image is actually of a different species as pointed out by Tiziano. 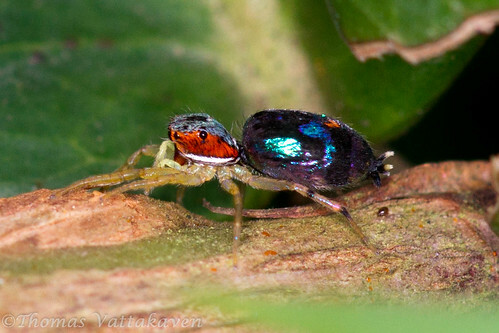 ("female siler semiglaucus look just like the males but without the brush").